Flowers are always a symbol of International Women's Day, and many countries celebrate by decorating with flowers, or giving them to women as presents. Men will honor their mothers, wives, girlfriends, and female colleagues with flowers on International Women's Day. In Italy, yellow mimosas are popular. Russians give a variety of flowers, including red roses. In Hanoi, Vietnam, it's not just boyfriends and husbands giving flowers to the women in their lives, but also bosses and colleagues. In some countries, that day has the same of Mother's Day where children give small presents to their mothers and grandmothers. You are looking for more romantic ideas to help create the perfect Women's Day? 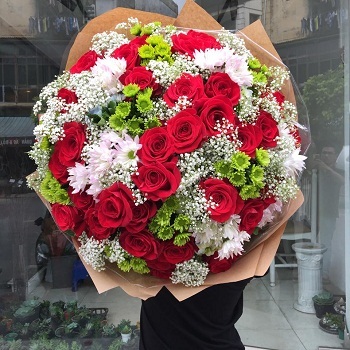 Please send email to us as soon as (email: sales@hanoiflowershop.com, hotline: +8497 3535 559), we will give you some suggest which our things to do on International Women's Day help you create one special date. It is a day to commemorate the struggle of generations of women, both past and present, as they fight for a fairer world. Let the inspirational women in your life know how much they mean to you with our hanoi flower delivery service. In many countries, such as Vietnam, it is customary to send flowers to the women who are closest to you, whether that is a partner, friend or relative, on International Women’s Day. 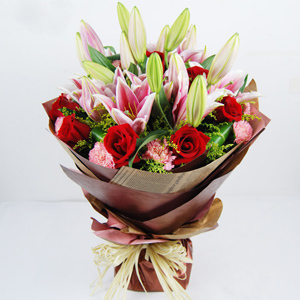 Buy your Hanoi Women’s Day flowers delivery now or before the 5th. 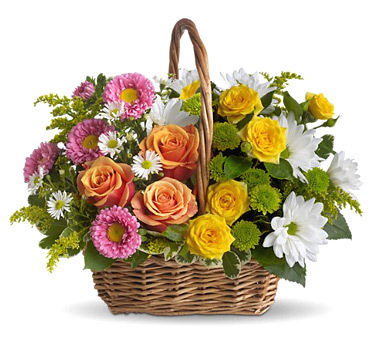 Do not leave it too late, we cannot ensure deliver flowers in time.